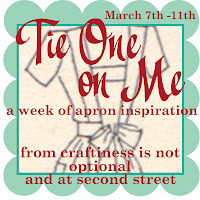 Welcome to day 3 of apron inspiration. 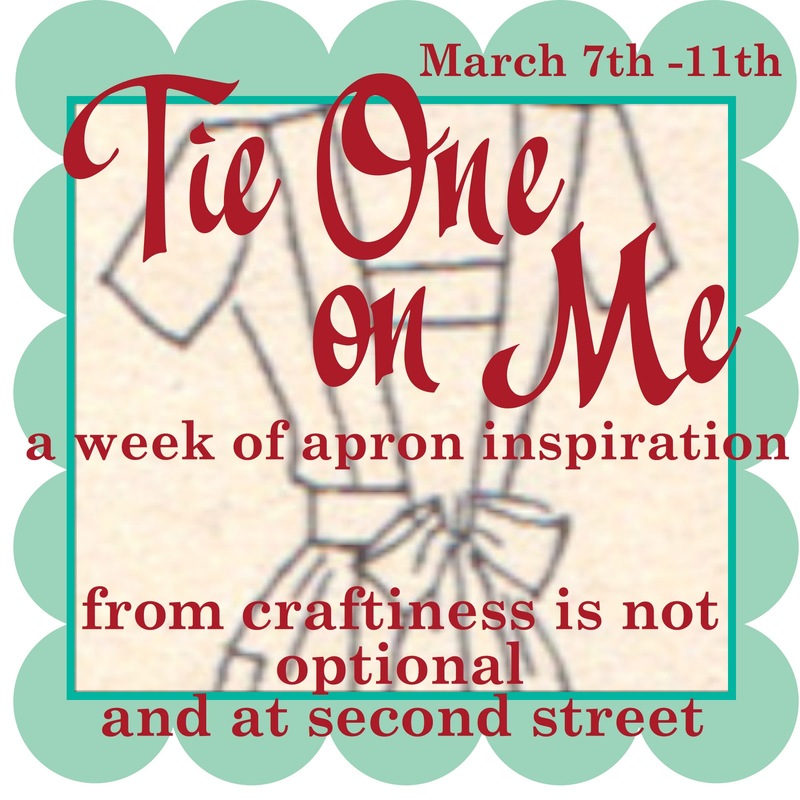 Just in case Jess and I haven't given you the tutorial of your dreams, we've each put together a Apron Tutorial Round-Up. Click on the links below the pictures for the tutorials. 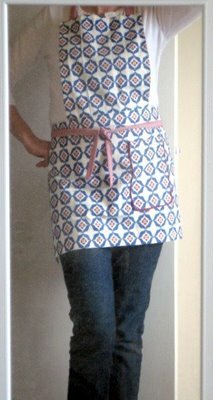 I love almost everything about this apron, it's fully lined and has the cutest giant pocket. I love the bow at the neck of this one. 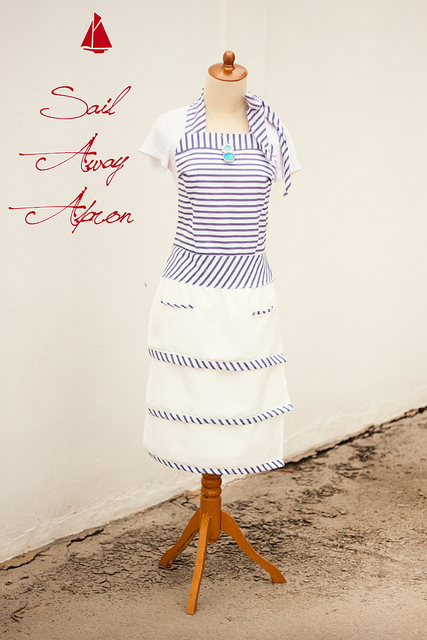 Although this would be too pretty for me to ever wear as an apron, I love the nautical theme of this one. Ruffles, need I say more. 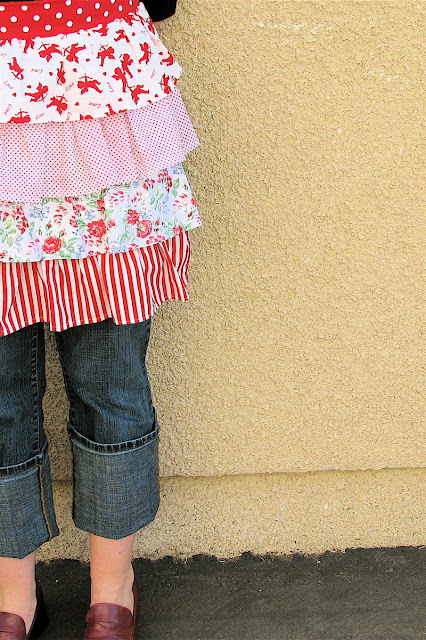 Ruffle Apron Tutorial from One More Moore. 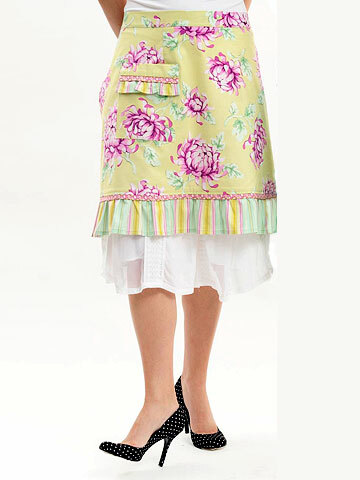 Another simple and stylish half apron. I love the high thick waistband on this one. I love the size of this one and that it's a refashion. Click HERE to see what Jess has rounded up. I think that Sail Away apron could be transformed into a super cute dress! Hmm.. now you've got me thinking. And a friend just told me her old trusty apron is falling apart and wondered if I could make her a new one! :o) So glad you are doing this series! 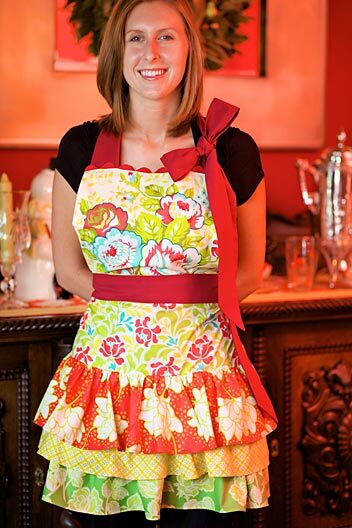 These are all fantastic, but the aprons with ruffles really get to me. Love them!